Arsenal will tomorrow face Napoli in the UEFA Europa League quarter finals and they have received a massive injury boost ahead of this match. Arsenal will on Thursday be hoping to get back to winning ways when they welcome Napoli at the Emirates Stadium. 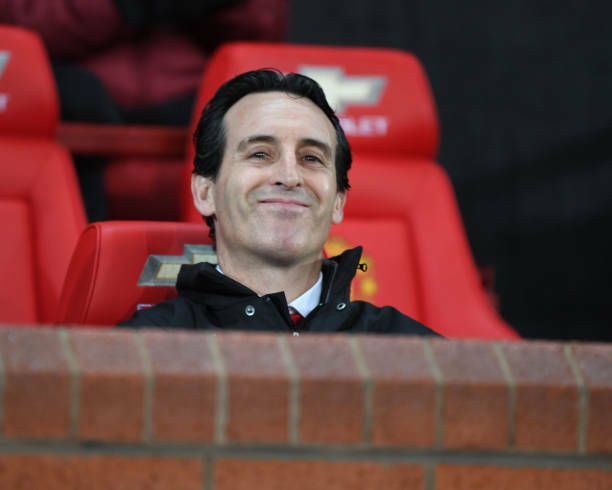 This will be a must win game for Unai Emery’s men because they will be hoping to redeem themselves after their 1-0 loss to Everton. Arsenal missed a lot of players on Sunday in their match against Everton but they have however received a massive boost ahead of their encounter with Napoli as it has been confirmed that Granit Xhaka and Laurent Koscielny are back in full training. These two will be needed in their match against Napoli because Ramsey or Matteo Guendouzi are better when paired with Granit Xhaka. This was seen on Sunday as Guendouzi’s partnership with Mohamed Elneny failed to work hence the gunners losing the match. Laurent Koscielny has missed Arsenal’s last two Premier League matches because he has a bruised foot while Granit Xhaka has had groin problems ever since he returned from international duty. Xhaka and Koscielny in full training. Laurent Koscielny is back and he has come at a perfect time because this will probably see Shkodran Mustafi get benched in tomorrow’s match and the Frenchman will also be hugely needed in their next two Premier League matches because Sokratis Papastathopoulos is suspended for two league games. Arsenal boss Unai Emery will face the press today and he will probably reveal whether these two will be in the starting eleven that faces Napoli.